Serious Skincare is the premiere online skincare and beauty brand. 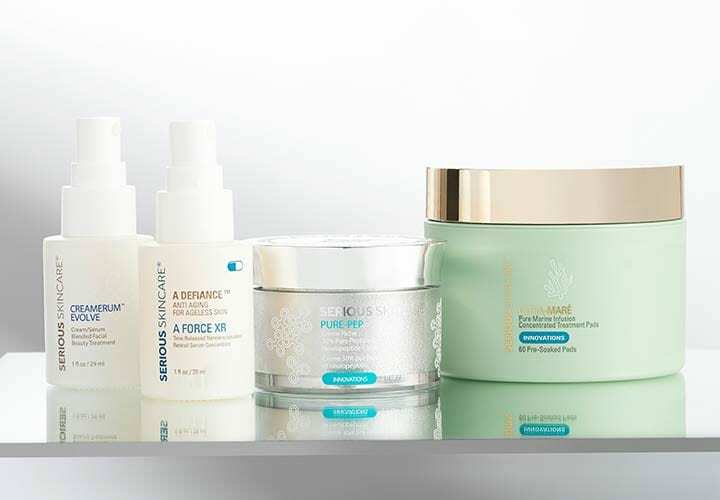 With more than two decades of ever-evolving innovation, Serious Skincare has become a beauty industry leader, successfully offering transformative solutions to a myriad of complexion conundrums. When she was a young model battling acne, Jennifer Flavin-Stallone finally found an effective treatment from a small company called Serious Skincare. Wanting to share her discovery with others struggling with skin issues, she joined forces with the original creator and helped develop the brand into a household name. She has since been the driving force behind each innovative product for the last 25 years. Cecilia Stock was the inaugural client and inspiration for Serious Skincare’s very first acne product. She travels the world as an accomplished acne and anti-aging skincare specialist. John Pinocci helped launch Serious Skincare to television in 1994, and helped transform the brand into a beauty powerhouse. He’s always busy working behind-the-scenes as the voice of Serious Skincare’s service and support center.